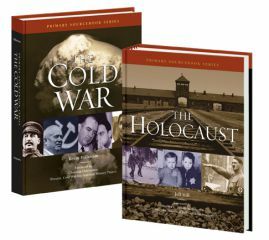 The Primary Sourcebook Series provides students and other users with an overview of some of the most important and influential events of the modern world. Each volume assembles more than 100 primary documents to help users gain a greater understanding of a pivotal era in world history. These primary source materials are distributed among 14 chapters, arranged roughly in chronological order. Each of these chapters begins with an introductory overview that provides readers with the background information they need to understand the significance of the documents selected for inclusion. These chapter overviews introduce the main players, events, and themes that will be illuminated in the documents to come. Within the chapters, each document featured in the Primary Sourcebook Series is preceded by a brief introduction that provides additional historical context on the origins and significance of that particular document. Primary source materials featured in each volume include treaties, speeches, legislation, diplomatic dispatches, journalism, editorials, personal correspondence, government reports, memoirs, and oral histories. The documents themselves include source materials that are universally recognized as essential to any meaningful study of the historical subject; they also include works that provide readers with glimpses into the perspectives of both national leaders and ordinary citizens. Taken together, the chapters can guide readers through the world’s most momentous historical events. The Primary Sourcebook Series will give readers a greater appreciation for the importance of history and its impact on their lives. It will also sharpen their capacity to analyze and interpret conflicting perspectives on major historical events, causes, and individuals—helping them understand the eras and events that shaped the world they live in today.